China continues to implement repressive policies to suppress the religious freedom of Tibetans from all walks of life. 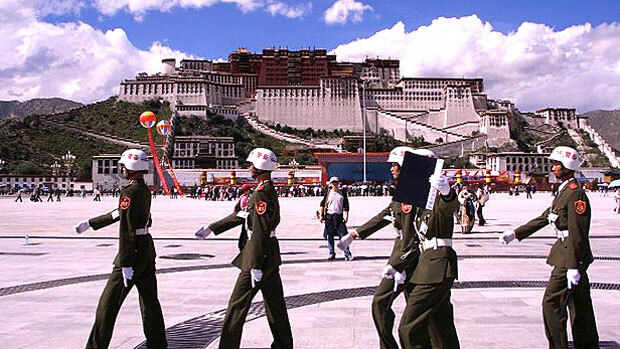 A recent report published by Voice of Tibet highlights the extent of such repressive policies. As per the report, the Tibetan public officials of Lhasa have been banned from participating in any kind of religious activities. The violators of the order have been threatened of dire consequences including depriving them of their lifetime welfare benefits. Even Tibetan students are subjected to such repression. A recent report published by Radio Free Asia’s Tibetan Service informs about an order passed by Chinese authorities in Tibet’s Lhoka Tsethang city prohibiting Tibetan students from enrolling in any religious activities during their winter vacation. Again in May last year, as the month-long Saka Dawa festival- a holy month observed by Tibetan Buddhists began, Chinese authorities imposed prohibitions on Tibetan families from partaking in any religious activities like going to monasteries, observing festivities etc. The parents and guardians were asked to ensure that their children and wards also followed the orders and not take part in any religious activities. On the other hand, China is also trying to appease the Buddhist leaders. In a recent report published by UK based organization Free Tibet, China is continuing to ensure patriotic education of Tibetan monks and nuns and trying to “co-opt Tibetan Buddhists” by inviting and honoring the Buddhist religious leaders. “China understands that one of the unifying factors of Tibetans is its religion- Buddhism. On the one hand China wants to ensure that the next generation of Tibetans are separated from Buddhism but on the other hand, it wants to use the soft power of Buddhism to achieve its imperialistic goals and therefore conducts patriotic reeducation campaigns at monasteries. Tibetan students are considered naive to understand their own religion but are considered mature enough to sign an agreement?” remarked Thinlay Chukki, Officer at UN and Human Rights Desk, Department of Information and International Relations, Central Tibetan Administration. China has been ranked amongst the worst violators of freedom of religion or belief and religious tolerance in the World by the European Parliament’s Intergroup on Freedom of Religion or Belief and Religious Tolerance and categorised China under “severe violators” group. -Report filed by UN and Human Rights Desk, DIIR, CTA.